In order to have an unforgettable experience at the Walt Disney World Resort, one must be sure to discover its’ greatest attractions. While there are many options across every park, here are 10 absolute must-do’s for your Disney bucket list. You can relive the magic of Disney’s animated classic at Hollywood Studios. Gather around the stage and watch a reenactment of Beauty and the Beast, complete with musical numbers and a brilliantly talented cast. Guests have deemed the performance of “Be Our Guest” to be the best in the entire show. The villains are running amok and only Sorcerer Mickey can stop them! Join everyone’s favorite mouse on a perilous journey to fight off the forces of evil. This Hollywood Studios nighttime show features epic instrumentals joined by dazzling pyrotechnics. The Force is strong with this attraction at Hollywood Studios. Board a StarSpeeder 1000 and prepare to blast off into Hyperspace! C-3PO has commandeered your ship, and now your life is in his biomechanical hands. Escape the clutches of the evil Darth Vader and his empire, as you rocket through several planets from the lore. With over fifty possible combinations, no Star Tours flight will ever be the same. So buckle up for an intense space ride! If you are lucky, you just may get to be the rebel spy. Hooray for Hollywood! Board your tram and let your tour guide traverse you through one of Disney’s most classic attractions. The Great Movie Ride is a celebration of classic cinema that brings you through several popular genres. But be careful on your journey. Gangsters and cowboys are on the loose, so keep your wits about you! This flight simulator is considered to be the most popular attraction on all of Walt Disney World property. Soarin seats you in a hanglider before taking you up and over beautiful California. The attraction lets you experience the sights, sounds, smells, and sensations of actually flying. Considering this attraction usually has a two hour wait time, it is no surprise that it has been deemed the most famous. A FastPass for this ride is an absolute must, so be sure to book one as soon as possible. This is one of the Magic Kingdom’s most popular attractions. Blast off on an intense, indoor rollercoaster that rockets you through the darkness. Onboard, you will launch through space rings and vortexes before plunging through the stars. This ride is certainly a must-do. Join the notorious Captain Jack Sparrow on the treasure hunt of a lifetime. Your boat will travel through eerie caves and sacked ports. Be on the lookout for the infamous Blackbeard or immortal Davy Jones. Mermaids lurk in the darkened depths below you. Captain Barbossa’s cannonfire blasts the waves beside you as you sail into port. This attraction was the last ride that Walt Disney oversaw construction of, and holds a special place in the park’s history. Away you go for one of the most extraordinary parades you will ever see. The Magic Kingdom’s Festival of Fantasy is a whimsical celebration of Disney’s fairytales. Almost every character from Fantasyland joins Mickey Mouse through the streets, as they sing along to the parade’s signature anthem. Should you would want to catch this parade as soon as it starts, find a seat in Frontierland. If you do not mind waiting longer and getting more shade, find a spot right behind the park’s main entrance. The parade starts at three o’clock, and if you want a good view, we recommend finding a seat an hour prior. Make a wish, and do as dreamers do! 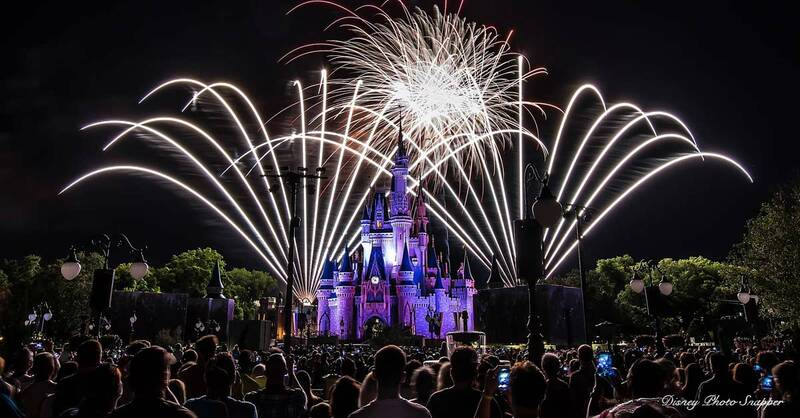 Wishes is the ultimate nighttime celebration at the Magic Kingdom. This spectacle has thousands of guests marveling every single night. Fireworks boom several miles from the park, yet appear to be right behind Cinderella’s castle. Tinkerbell makes an appearance while amidst the sound of awe-inspiring music. Wishes has brought tears to the eyes of many guests, and is one brilliant reminder of the power within dreams. Reserve your spot in front of the castle at least an hour in advance. Your wait will not be so boring, considering Celebrate the Magic will soon be projecting over the castle. Walt Disney World truly is the place where dreams come true. From the greatest adventures of discovery, to the nighttime spectacles, the parks have a spark of joy for everyone.